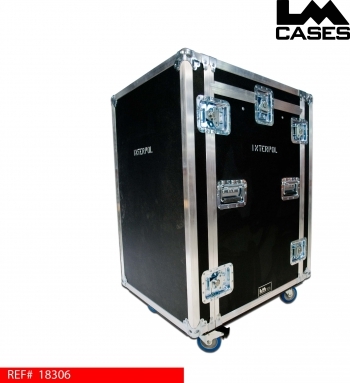 This case was made for the band Interpol. 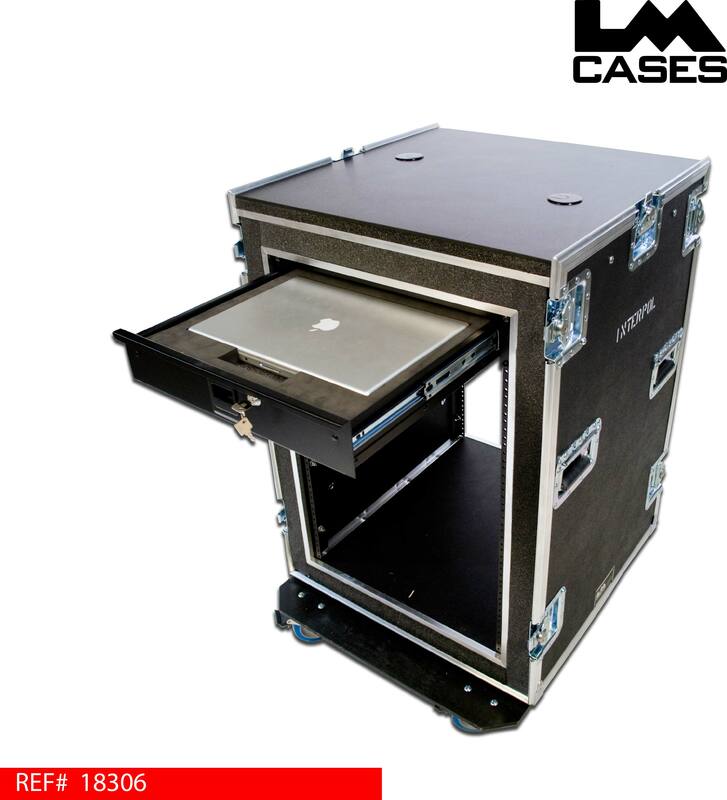 The case is built to hold 2 Apple MacBook Pro computers as well as rack mounted equipment. 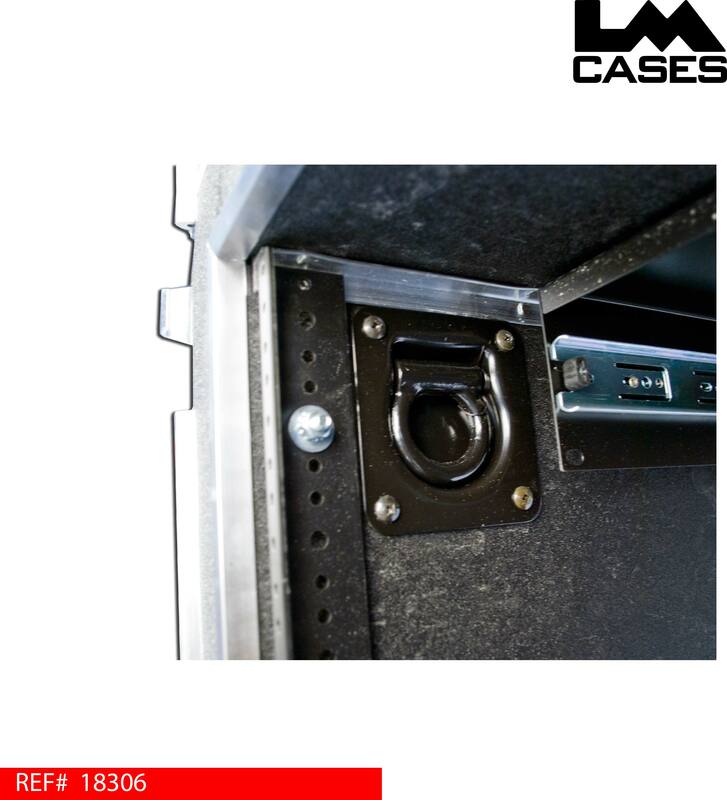 The computers sit on a Comatex plastic work surface to allow for heat dissipation, the work surface also features 2 cable passages to the rack section. For security reasons, there are to D-Ring shackles mounted in the rack section which allow for the computers to be tethered via a security cable. 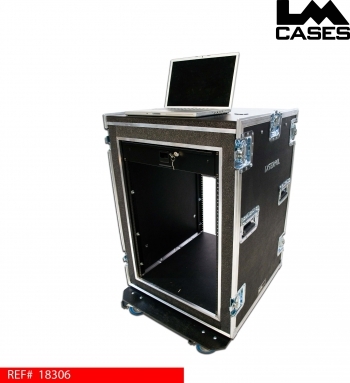 During transport, the MacBook's store in two 18" deep rack drawers in custom CNC cut foam inserts. 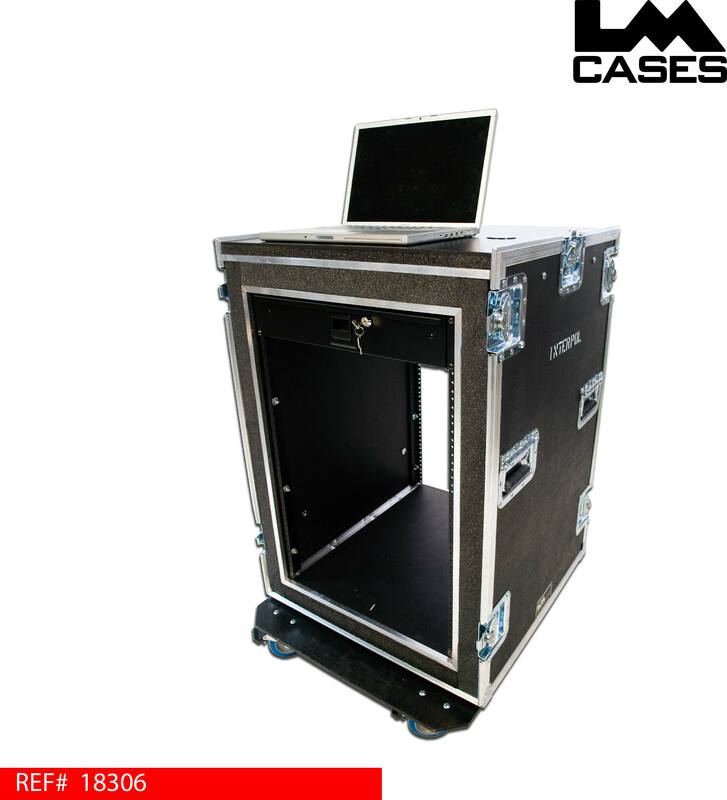 The the foam inserts are made from crosslink foam to protect the computers from scratches. The case is built from 3/8" composite panels allowing for weight savings and greater impact protection. The case also features deep recessed handles, 4" casters and stencils of the bands name. Special thanks to Jonathan and Interpol!